Always read the label. Follow the directions for use. Contains Sulfites. Vitamin supplements cannot replace a balanced diet. If symptoms persist, talk to your healthcare professional. 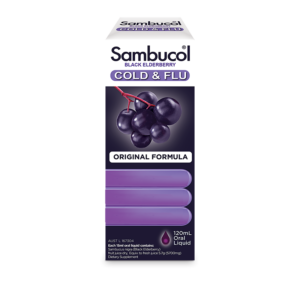 COLD AND FLU SYMPTOM RELIEF! 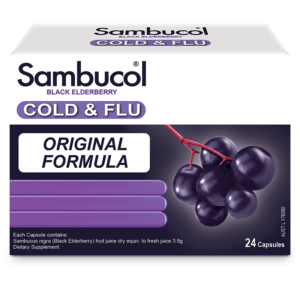 Sambucol Cold & Flu Forte is formulated to help fight and relieve cold and flu symptoms. 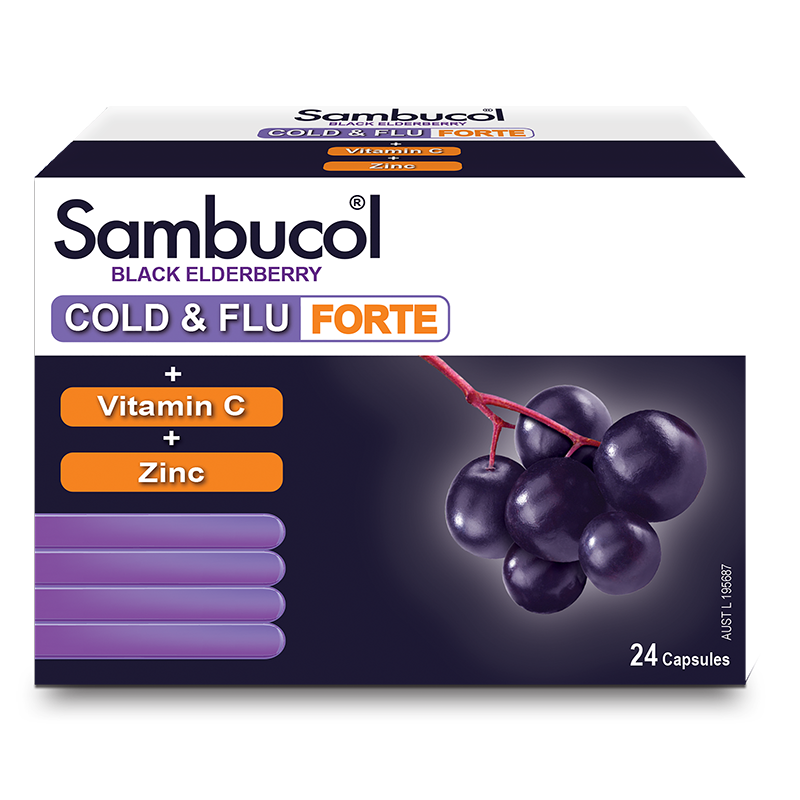 Sambucol Cold & Flu Forte helps support your natural immune function. 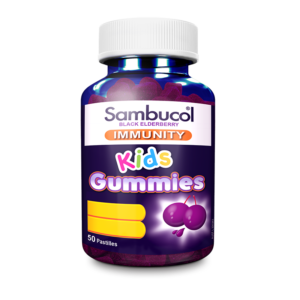 A healthy, strong immune system is important during the cold season. 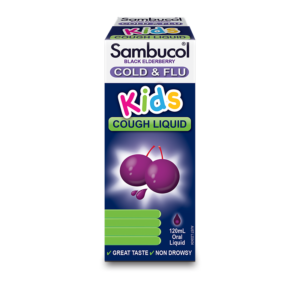 That is why we recommend to start taking Sambucol Cold & Flu Forte at the beginning of the cold season. 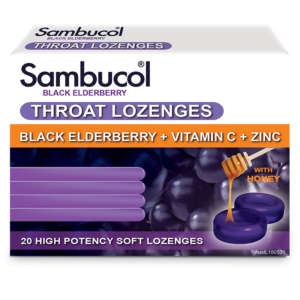 - Relieve the severity of cold & flu symptoms. 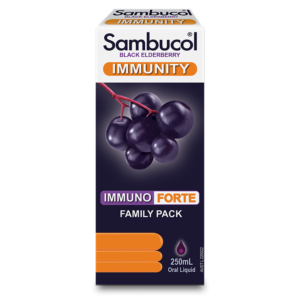 - Support healthy immune function. Adults only: 2 capsules 4 times a day. 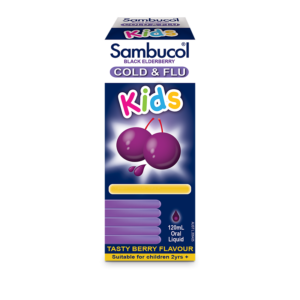 Best taken at first sign of cold and flu – within 48 hours of the onset of symptoms. Or as recommended by your healthcare practitioner. Adults only: 2 capsules 1-2 times daily. Vitamins cannot replace a balanced diet.